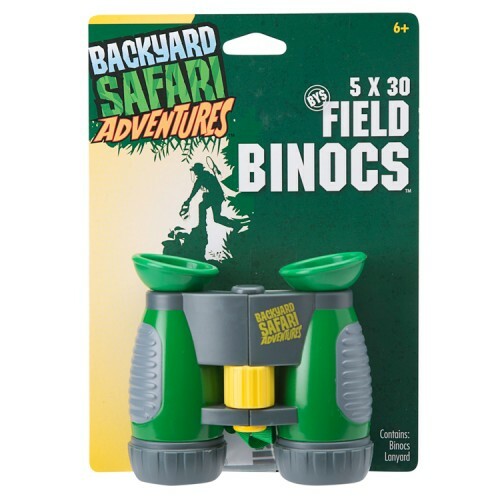 Zoom in with Backyard Safari 5x30 Field Binoc that are adjustable and waterproof! 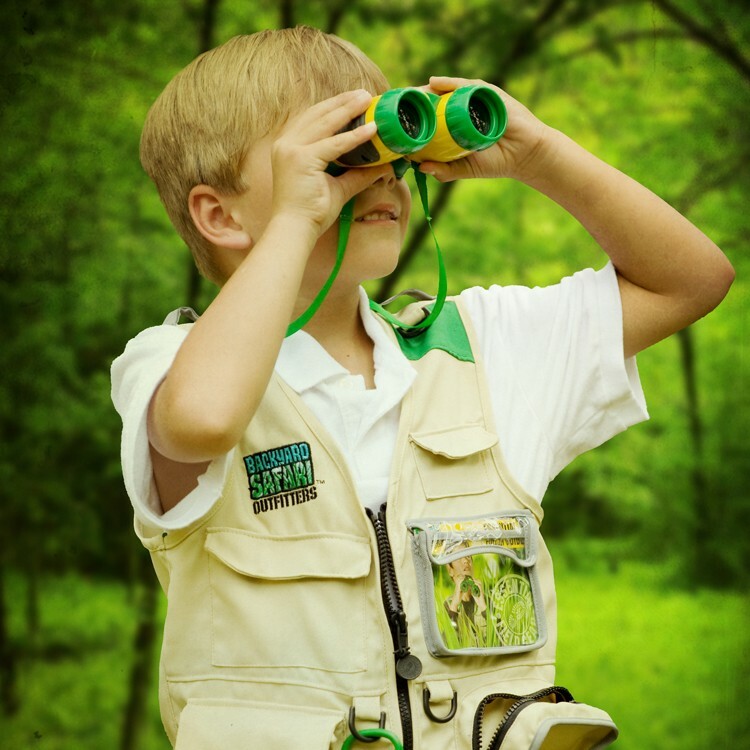 Field binoculars are one of the main exploration accessory for young naturalists. 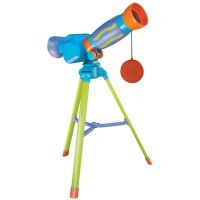 Backyard Safari Field Binocs is a waterproof set of kids binoculars with 5x30mm magnification. 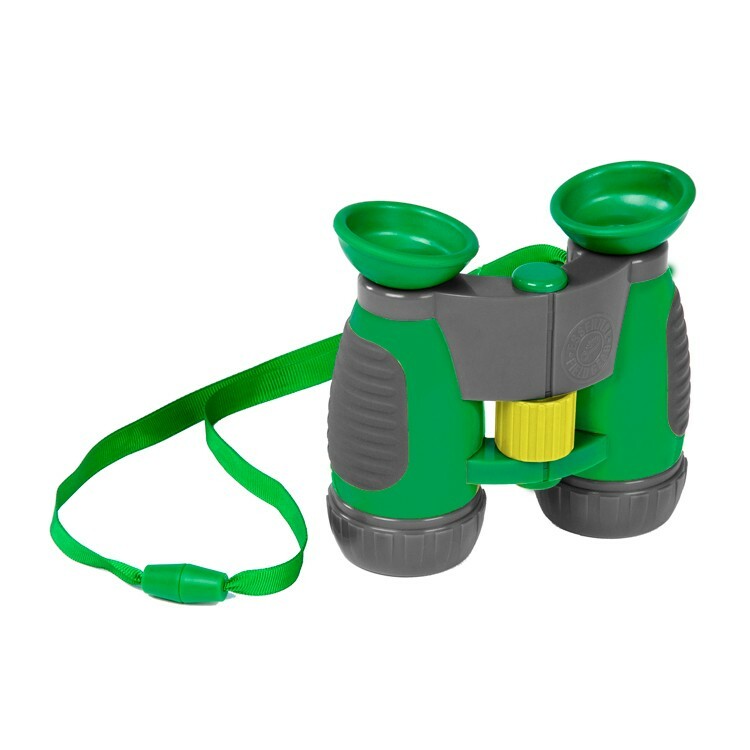 This cool field green and back binoculars feature rubberized hand grips, yellow magnification focus adjustment knob, and convenient carrying strap. 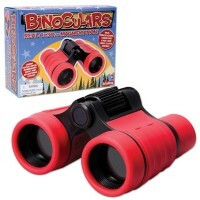 With this pair of binocs kids will explore nature, make their outdoor discoveries, observe wildlife and have fun during their outdoor adventures! 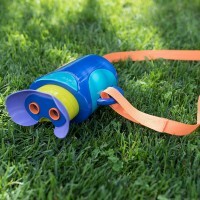 The Backyard Safari Field Binocs is a terrific outdoor toy gift for a curious child or a great add-on to Backyard Safari Cargo Vest or any exploration play set from Educational Toys Planet. 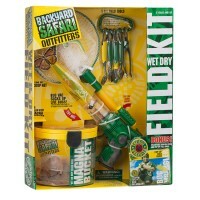 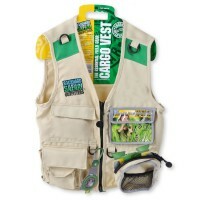 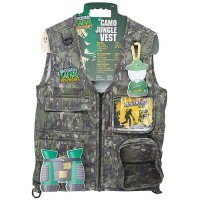 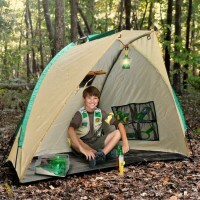 Gear up for the next outdoor mission! 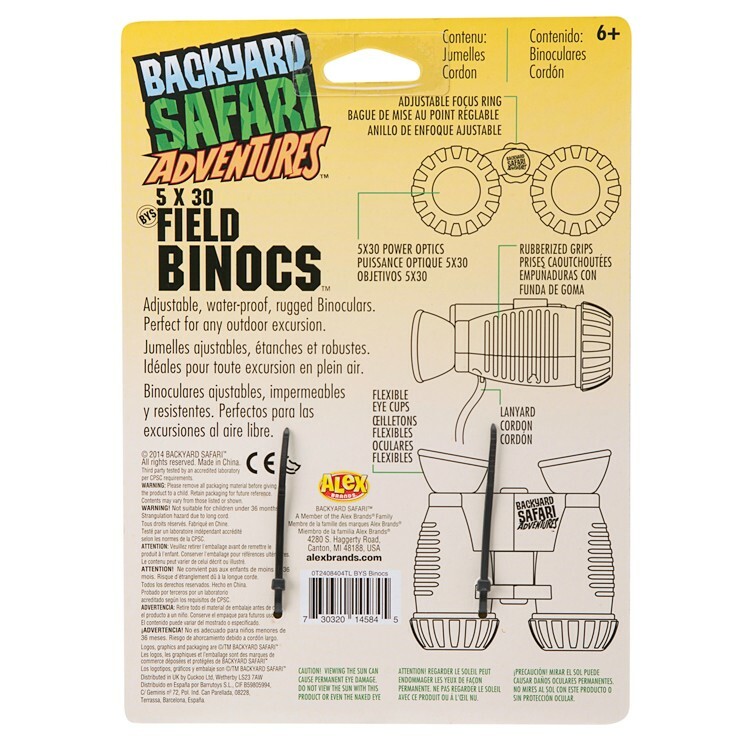 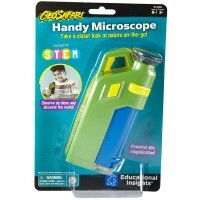 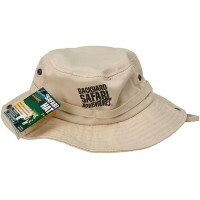 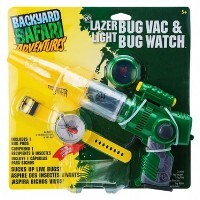 Dimensions of package 4.75" x 2.5" x 4.5"
Write your own review of Backyard Safari Field Binocs.